Not too shabby. I also enjoy sprinkling walnuts on salads and ice cream, adding to trail mixes, making pesto, and snacking on plain. A blend of chaga, reishi, and goji berry tea was what I used for this recipe. Any tea will do. The more medicinal the merrier. There are plenty of optional add-ons to boost the nutrition and flavor. Enjoy! 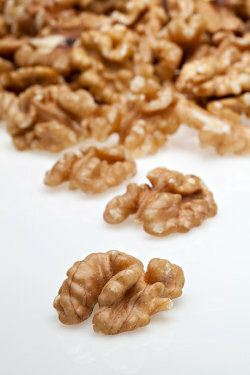 I’d love to know if you try this chocolate walnut elixir and how you liked it. Please leave a comment below. Happy Blending! Would like the free smoothie book. Would also like to see a section on brain enhancing recipes especially for brain fog – don’t see any of your site. But nevertheless lots of good info. Thanks, Ann.